‘Chronically low’ fodder levels in border counties. Resounding demand for the immediate introduction of subsidy and distribution of meal vouchers to worst affected. 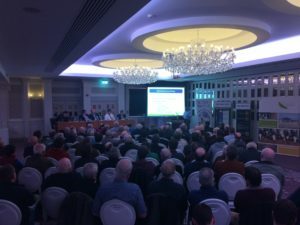 A strongly supported ICSA meeting in Ballyconnell, Co Cavan on Tuesday night witnessed “huge anger” over the reluctance of the Government to act on calls to roll out a scheme to aid farmers in areas where atrocious weather conditions have wreaked havoc on fodder harvesting. 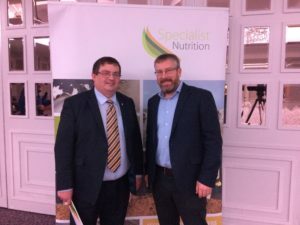 Commenting on “the anger of those present,” president of the ICSA Patrick Kent said it was clear from the meeting that farmers “are under pressure” and that immediate action is needed on the fodder crisis. 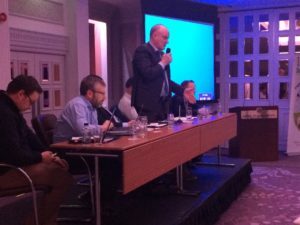 ICSA Cavan chairman Hugh Farrell said, “Fodder levels are chronically low due to the atrocious weather conditions we experienced in the border counties during the autumn months. A presentation by nutritionist Emmet Duffy of AW Ennis attracted keen interest. He proposed that the Government should subsidise products “such as alfalfa, lucerne or straw pellets which would be ideal for inclusion in fodder stretcher mixes. Previous PostICSA calling fodder crisis meeting in CavanNext PostGovernment Housing Plan – 55 to a single dwelling?